Good News: This product has higher quality necklace earphone in acrylic box! 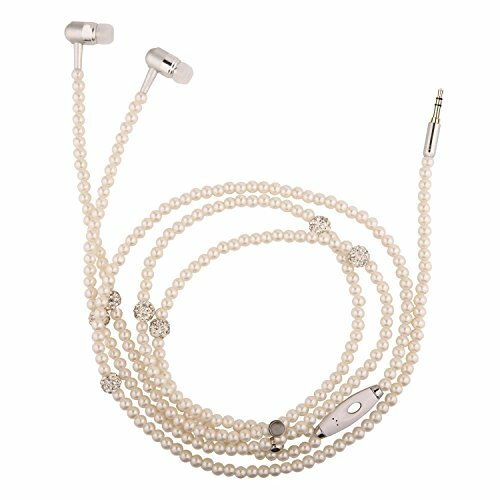 This is a pretty necklace style stereo earphone. Easy to carry, you can enjoy your music anywhere, anytime. The beautiful exterior is suitable for women. Advanced design, low mass, giving you a practical product. Good sound isolation, giving you a place that just belongs to you and your music. Very good interface. It also has a mic for phone calls. Making a fashion style for you. 1 X Necklace earphone in acrylic box. This is a pretty necklace style stereo earphone. Not only a stereo earphone, It's a beautiful necklace,bracelet,jewelry.Great gift for girl friend,mam,sister,women,lady,female. If you have any questions about this product by FRESKY, contact us by completing and submitting the form below. If you are looking for a specif part number, please include it with your message.